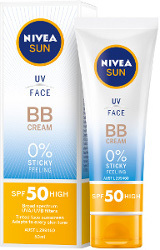 The new Nivea Sun UV Face BB Cream SPF 50, is a light, non-greasy, non-sticky BB Cream (even in the most humid conditions). The Cream with SPF 50 not only provides a Broad Spectrum UVA and UVB protection against the sun, the tinted pigments in the single shade also adapt to suit most skin tones to cover blemishes. Naturally derived antioxidants help to protect your skin against sun, and other damage. It’s so light, you won’t even know you’re wearing it. 50ml RRP $12.99. Bioderma Photoderm BB Cream SPF 50+ offers your skin a high level of sun protection and natural looking coverage, without clogging pores or leaving your skin with a greasy feeling. The formula is enriched with a Cellular Bioprotection patent which helps to protect your skin, works to even out your skin tone and helps to combat premature skin ageing. The formula is suitable for sensitive skin, even the most sensitive. Available in two shades. 40ml RRP $36.99. Burt’s Bees BB Cream SPF 15 is formulated with Noni Extract to help firm, conceal blemishes and imperfections, smooth and illuminate your skin. The lightweight, non-greasy lotion helps to even your skin tone and assists in visibly reducing the appearance of fine lines and wrinkles. Being Burt’s Bees, the formula is 98.9 per cent natural, and provides your face with SPF 15 protection. Available in 2 shades. 48.1g RRP $29.95. If you prefer a fuller coverage BB Cream (yes, there is such a thing), Jane Iredale Glow Time™ Full Coverage Mineral BB Cream might be just what you are looking for. A fuller coverage cream that combines foundation, concealer, sunscreen and moisturiser in one, the natural minerals in the formula adjust to your skin tone to help cover blemishes, minimise pores, disguise wrinkles and smooth and brighten your skin. The range is available in eight shades, and provides Broad Spectrum protection of SPF 17-25, depending on the shade. The formula is water resistant for up to 40 minutes. 50ml RRP $76.00. If you have sensitive skin, then this BB Cream is simply brilliant. La Roche-Posay Anthelios Ultra BB Cream SPF50+ is suited to normal to dry skin types (it does come in an Ultra-Light variant for normal-combination skin), and it has been especially designed for sensitive skin. 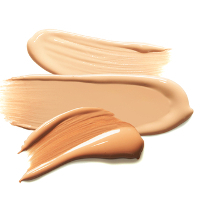 The lightweight formula is highly moisturising, non-greasy, and the universal tint suits most skin tones. The hypoallergenic formulation, tested on the most sensitive skin, and around the eye area, offers a very high level of UVA/UVB protection. Anthelios Ultra BB Cream comes in an easy-to-use pump tube to minimise product wastage and reduce microbial contamination. 50ml RRP $29.95. These are our favourite BB Creams for the rest of the long, hot Summer ahead. Do you use any of these? Do you use another BB Cream? Let us know in the comments below.